An Asian vine known to be deadly poisonous has been in the news lately. Alexander Perepilichny, a Russian banker turned whistleblower who provided information on tax fraud committed by the Russian state and the Russian Mafia, mysteriously died while jogging back in November 2012. Last year, a botanist at Royal Botanic Gardens, Kew was called in to help with the ongoing investigation. Analyses revealed traces of a compound found in Gelsemium elegans, suggesting that Perepilichny had been poisoned and calling into question the orignal claim that there was no foul play in his death. Gelsemium is a genus in the family Gelsemiaceae. 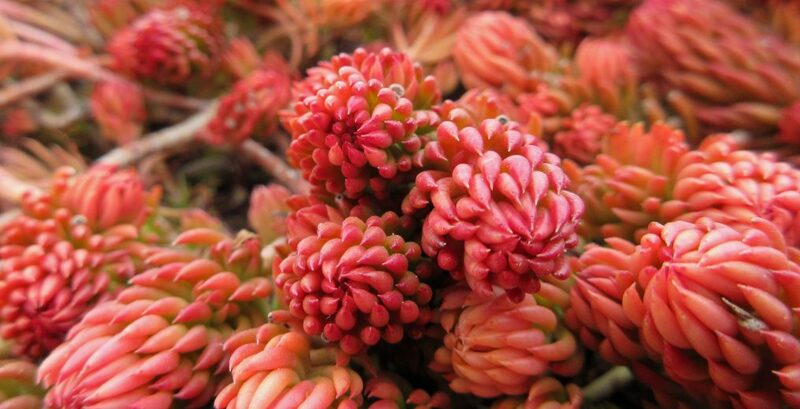 It is composed of three species, two of which are native to North America (G. rankinii and G. sempervirens). Gelsemium elegans is native to China and Southeast Asia. All species are poisonous due to a number of alkaloids found in virtually all parts of the plant and particularly concentrated in the roots and leaves. The most toxic and abundant compound is gelsemine, an alkaloid related to strychnine. Poisoning by heartbreak grass is not a pleasant experience. Its affects can be felt soon after ingestion and, depending on the amount ingested and the time that lapses between ingestion and treatment, death – usually by asphyxiation – can be imminent. 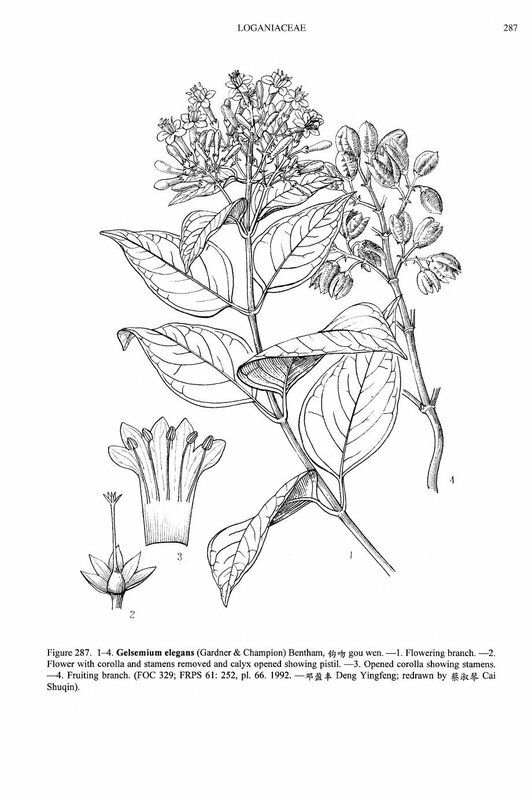 The Hong Kong Journal of Emergency Medicine reported on two cases of Gelsemium elegans poisoning, in which a husband and wife consumed the plant after mistaking it for the medicinal herb, Mussaenda pubescens. The 65 year old woman became dizzy, weak, and nauseous thirty minutes after consuming the plant. Then she went unconscious. Quick medical attention saved her life. She was released from the hospital eight days later, after spending time in intensive care and undergoing various treatments. Her 69 year old husband experienced similar dizziness and weakness, but promptly vomited and called for an ambulance. 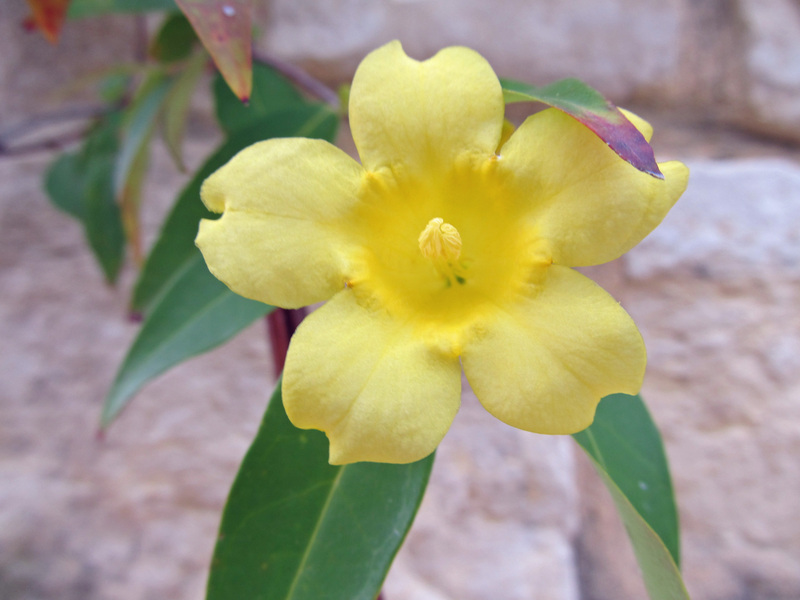 All Gelsemium species have been used medicinally to treat a variety of ailments. If used properly, they may provide effective treatments; however, in their book, The North American Guide to Common Poisonous Plants and Mushrooms, Nancy Turner and Patrick von Aderkas state – regarding the medicinal use of G. sempervirens – that the “plant [is] considered very dangerous for herbal use.” They also list the plant as a skin and eye irritant and claim that the flower’s nectar produces poisonous honey. Commonly known as Carolina jasmine and yellow jessamine, G. sempervirens is a woodland plant found in west Texas and throughout the southeastern United States. It is an attractive, evergreen, perennial vine with yellow, fragrant, funnel-shaped flowers and is grown as an ornamental in its native region and beyond. Most poisonings occur when the stems and leaves are consumed, usually as some kind of “herbal preparation;” however, the Handbook of Poisonous and Injurious Plants claims that “there are cases of children who were poisoned after sucking on the flowers.” Headaches, dizziness, blurred visions, dry mouth, and difficulty speaking and talking are a few of the initial symptoms experienced after ingesting this plant. When cases are severe, muscles in the body experience weakness, spasms, and contractions. Symptoms, in other words, are akin to strychnine poisoning, and barring prompt and proper medical care, results can be similarly deadly. This entry was posted in Botany and tagged Alexander Perepilichny, Botany, Carolina jasmine, Flora of China, gelsemine, Gelsemium, Gelsemium elegans, Gelsemium sempervirens, heartbreak grass, jessamine, Kew Gardens, medicinal plants, poisonous plants, Royal Botanic Gardens, Russia, strychnine. Bookmark the permalink. it’s used in homeopathy …is it safe to use …? Homeopathic medicines are so diluted that if they contain the claimed ingredient at all, it has been reduced to a mere trace. So, safe? Sure. Effective? Probably not. Homeopathic medicines are so diluted that if they contain the claimed ingredient at all, it has been reduced to a mere trace. So, safe? Sure. While that is very good as a generalization, I would caution against automatically making that assumption for specific instances. It is generally the case that homeopathic “medicines” are thus diluted*. Indeed, homeopaths will delusionally claim that the higher the dilution is the more potent it will be in its effects. However, you will occasionally find preparations claiming to be homeopathic that use much lower dilution factors. That’s actually something that makes me a little nervous about the homeopathic overdose stunts that some groups do (ie. https://youtu.be/sCYvOgBaEY8 ). While it is perfectly safe as shown, I could easily imagine someone doing that and getting into trouble if they simply picked the wrong preparation under the assumption that all such preparations are the same. The problems would come in cases where atypically low dilution factors may have been used (in the 3X to 6X range —that would be in the range of the “homeopathic” Zycam which was alleged to cause some cases of anosmia years ago), in cases where “inert” ingredients may also be included that turn out to be not so inert, in cases of contaminated products (occasionally, homeopathic manufacturers have been known to have issues with atrocious quality control) or in cases where intentional adulteration (for example, with real pharmaceuticals) may have taken place (while I don’t specifically know of cases of this happening with products labeled as homeopathic, it certainly has been known to happen with various “supplements” and I can’t imagine that being labeled as homeopathic would constitute a guarantee of this kind of fraud not happening). * I originally mistyped that as “thud diluted”. This might be good onomatopoeia for the sound a homeopath would make as they succuss their dilutions. Thank you for this thoughtful and informative comment. I agree that this is an important caveat for homeopathic treatments, etc. Pingback: Tomato CSI, vampire plants and assassination in this week's Tendrils!